If you like the idea of visiting a wonderful mixture of Arabian desert and palm-fringed, beautiful beaches, then holidays on the Red Sea are for you! 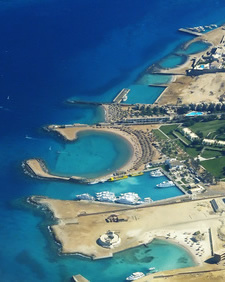 Egypt's Red Sea resorts have that unbeatable combination, hot weather, superb beaches and crystal clear waters. Add to that heady mixture, an excellent range of accommodation that provide late deals and offers through to high end luxury all inclusive holidays you can see why the areas popularity continues to rise. Holidays to Egypt are only just over 5 hours flying time from major UK airports. With warm crystal clear waters and an abundance of reef fish to see there's no wonder the number attraction on the Red Sea is scuba diving and snorkeling. There are a number of professional diving schools to help you maximize your underwater enjoyment. 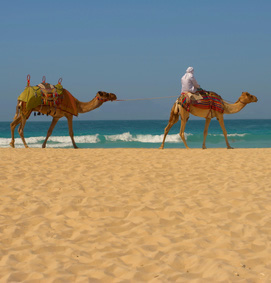 Beach-life is great here with plenty of water sports and away from the beach you can take camel rides and explore the Sahara Desert. Further afield you can book trips to Luxor, Cairo and visit the great Pyramids this usually entails an overnight hotel.